Dear readers: Oct. 6 is National Noodle Day, and for the life of us, we cannot fathom why it’s not a bigger deal. I mean, noodles? Noodles! When we stop pretending our favorite foods are chia pudding and spirulina smoothies and get real for once, it’s hard to deny that we’re all crazy about pasta. Whether it’s spaghetti or pad Thai or ramen or what have you, it’s all good. So then, why aren’t there more restaurants celebrating Noodle Day with fantastic offers? Looks like it’s just us noodle lovers and the chain, Noodles & Company. So here’s their deal. Show up at Noodles & Company on Thursday, Oct. 6 and get a free small Wisconsin mac and cheese when you purchase a regular entrée. They’ll also throw in a buy-one-get-one coupon for the grown-up versions of their mac and cheese dishes, which hit restaurants on Oct. 12. 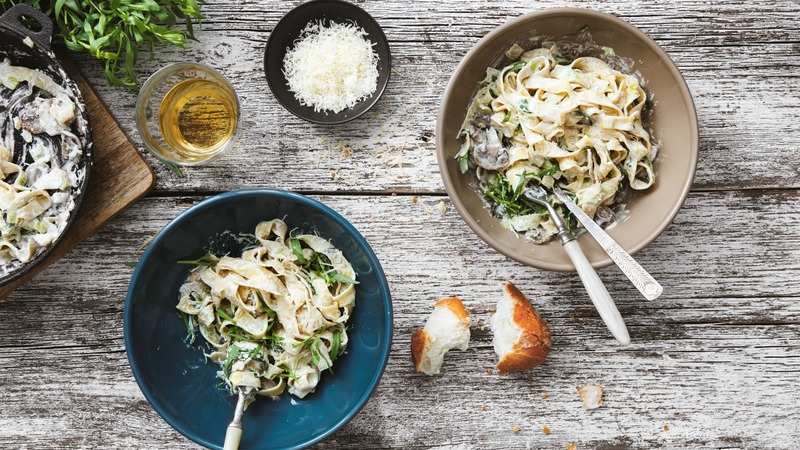 If you’re not near a Noodles, but still want in on the pasta action, why not try one of these international noodle recipes. Let the carb-loading begin!